In 1987, an elite military squad was sent to the jungles of Central America to rescue captives from a band of guerrillas. During their mission, they encountered something not of this earth, and the hunters became the hunted. Only one survived. These highly sophisticated, and highly weaponized, otherworldly ‘predators,’ it seems, have been using our planet as a sort of game preserve to hone their skills for centuries. Now, another predator has come to Earth with intentions not entirely clear. And it will take another team of military veterans, this time more of a disparate group of misfits, to fight this seemingly unstoppable alien creature. The Predator opens with a brief space battle that gives some insight into how these Predators get across the expanse of the universe where worlds exist light years apart. The action soon shifts to Mexico where army sniper Quinn McKenna (Boyd Holbrook) and his outfit encounter a predator from the opening sequence that has crash-landed nearby. Needless to say, things don’t go very well. McKenna ends up being brought in by government Agent Traeger (Sterling K. Brown) to find out what he knows about the alien, which has been retrieved for study. To that end, biologist Casey Bracket (Olivia Munn) has been enlisted for her expertise in evolutionary studies. When the Predator escapes, McKenna and Bracket team up with a collection of military vets who have all been arrested for various infractions, and together, they take on the Predator, Traeger and his agents, and some unexpected surprises. When Predator opened in the summer of ’87, it was a testosterone-fueled sci-fi actioner the likes of which we hadn’t seen before, an entirely original story not based on any previous source. Starring Arnold Schwarzenegger, along with other muscle-bound actors, Carl Weathers of Rocky fame, pro wrestler, Jesse Ventura, Bill Duke and the late Sonny Landham, Predator marked a new era of R-rated action film. Along with Robocop, released just one month later, and Die Hard, released the following summer, these films remain classics of their genres whose influences are still felt today. For Predator, pitting the strongest, most capable men on the planet against an adversary every bit their equal, and then some, was a brilliant idea. 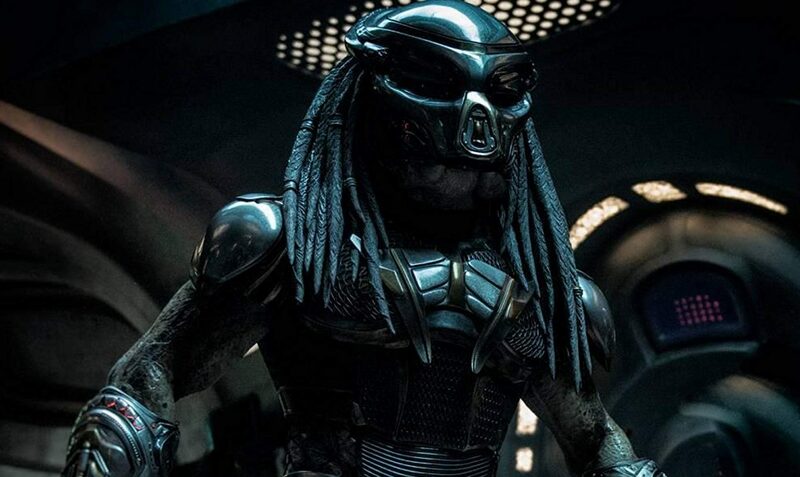 The Predator came equipped with all sorts of cool, advanced technology, like laser-tracking weaponry and cloaking capability, which really put his ‘prey,’ despite their own artillery and expertise, at an extreme disadvantage. Created by f/x wizard, Stan Winston, and brought to life by the talented Kevin Peter Hall, the Predator was as unique in its design as it was intimidating in its appearance. Predator got a sequel, 1990’s Predator 2, which took the action to the big city. 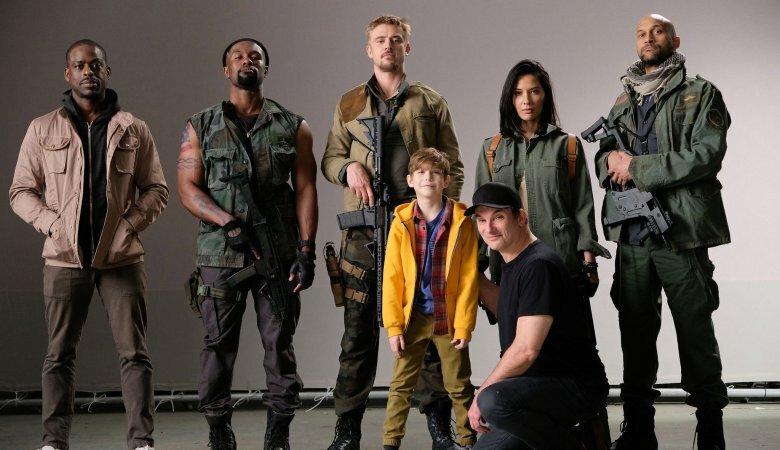 and where an easter egg revealed that the Predator existed in the same universe as the Alien franchise, another 20th Century Fox property. That eventually led to two crossover films, the less than well-received, Alien vs. Predator (2004) and Alien vs. Predator: Requiem (2007), before we got a stand-alone sequel in 2010, the underrated Predators. When a new Predator film was announced, Fox decided to go back to the original for inspiration and talent. Enter Shane Black, who co-starred as one of the special forces members in the original, and went on to write the action-oriented films, Lethal Weapon, The Last Boy Scout, the Schwarzenegger-starring The Last Action Hero and The Long Kiss Goodnight (the last movie I saw in the theater with my dad), before writing and directing the acclaimed Kiss Kiss, Bang Bang, Iron Man 3 and the comedic buddy cop film, The Nice Guys. Having been there in the trenches for the very first Predator, and after amassing an impressive resume of his own films, Black may have been the perfect person to bring the Predator franchise back to Planet Earth (Predators took place entirely on a distant planet.) and cinema screens. While probably no Predator film will ever top the original, The Predator is a worthy follow-up. There is plenty of new and intriguing material added to the mix as the mythology is expanded beyond just Predators hunting humans for sport. While some fans may take issue with this, it’s almost necessary to keep the franchise interesting and fresh. This goes true for the design of the Predator(s) as well. And may we also mention Predator freakin’ dogs!!! As could be expected from Black, from the opening space sequence, to the first jungle attack, the action ensues immediately and there’s barely a let-up from beginning to end. That’s not to say that there’s no development of the humans in the film. To that end, Black has assembled a top-notch cast of colorful characters. While Boyd Holbrook basically serves as the lead, he’s not alone by any means. Seen in last year’s Logan as Wolverine’s adversary, Holbrook combines intelligence, experience and physicality, all needed traits when combatting a Predator. In a wise and welcome choice by Black and the producers, a strong female presence has been added to the mix in Olivia Munn’s biologist. Not only is she given the scientific exposition to espouse, she proves rather adept in the action department too, holding her own against all the dudes. Munn has come a long way from co-hosting duties on the beloved Attack of the Show, and has become a bona-fide genre star now with this and X-Men (as Psylock) to her credit. Sterling K. Brown, who recently won back-to-back Emmys for American Crime Story and This Is Us, incorporates menace with humor to his government agent character. Adding an actor of his calibre certainly helps to elevate the film. Playing Quinn’s son is another actor who recently had an acclaimed performance, young Jacob Tremblay, so moving in 2016’s Room. Playing his mom is someone quite familiar to many – Yvonne Strahovsky, so awesome in NBC’s fan favorite, Chuck. But that’s not all. Thomas Jane, normally the lead in films like Deep Blue Sea and The Mist, is a military vet with severe PTSD. You might not even recognize Alfie Allen, portraying a Marine with issues of his own, looking completely different from his best-known role as Theon Greyjoy in Game of Thrones. 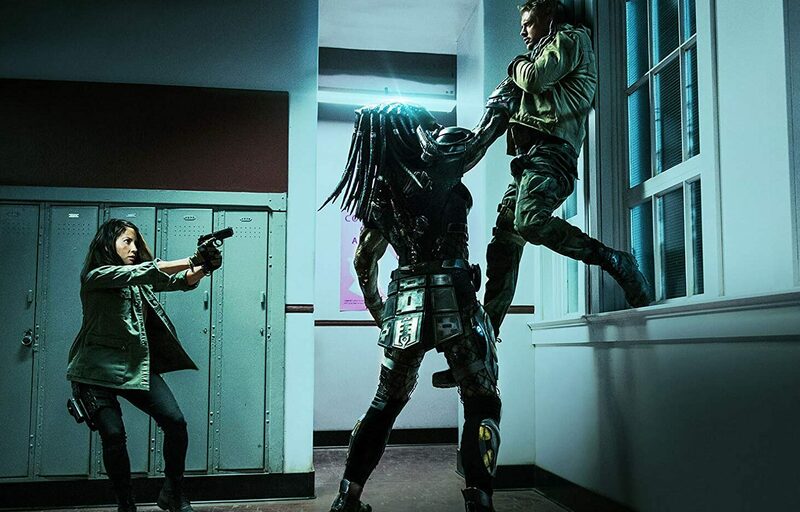 Adding more of a comedy slant to the proceedings – this is the funniest of all the Predator films – is Keegan-Michael Key of Key and Peele fame, whose other half just won an Oscar for his horror thriller, Get Out. Perhaps less familiar to genre fans, but having appeared in 2016’s Oscar-winning Moonlight is Trevante Rhodes as another Marine vet who joins Quinn and the gang. Oh, and lest we forget Jake Busey, who actually portrays the son of his father’s character from Predator 2. Pretty darn cool, and further instituting this film within the previously built-up Predator universe. For fans of the Predator franchise, keeping this film firmly within the ones that preceded it only serves to deepen the Predator mythos. They specifically mention the previous Predator earth visitations of 1987 and 1997 which took place in the first two films. And the door is left open to take the series into new and exciting territory. Now, does The Predator fire on all cylinders? No, as there are a few stumbles along the way. The film is maybe not as cohesive as it could’ve been. And the over-the-top action as the film progresses enters into later Die Hard and Fast & Furious territory, where normal humans can leap from a moving vehicle onto a plane or ship or whatever with nary a scratch or bruise. Unless it can be explained with a suit of armor or some special abilities, filmmakers would be wise to steer away from these sort of stunts which go beyond straining believablity, even in fantastical films such as this. 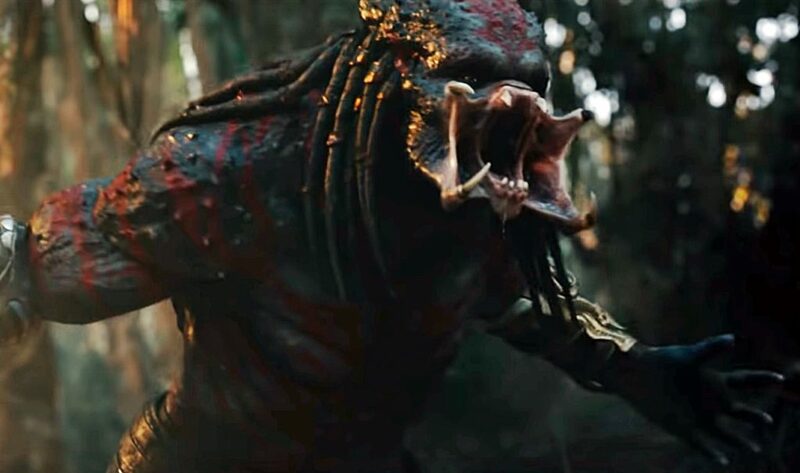 That said, The Predator is a fun, action-packed thrill-fest, with a comic touch added to the bloody, gory mayhem (yes, this a full-on, R-rated, spine-ripping, head-lopping Predator film), while offering new insight and mythology to the three-decades long franchise. 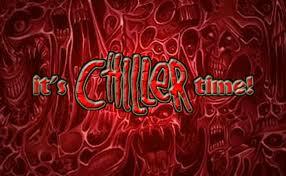 So, get to the chopper and enjoy the ride!